Following a strategic review of its operations, Laing O’Rourke has put its Australia business up for sale despite record profits from this business arm in the year ending 31st March 2015. Launched ten years ago, the unit has grown to be one of the largest privately-owned construction companies in Australia specialising in large infrastructure projects. Laing O’Rourke’s Australia business made a profit after tax of £76.5m on revenues of £1.5bn in the 12 months to March 2015, whilst by contrast, its European division lost £58m in the same period. The decision to sell was triggered by the firm’s desire to raise funds to finance the European arm and exploit available opportunities. 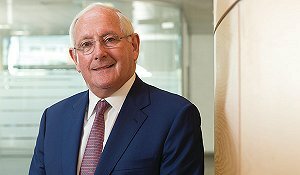 Chief Executive Ray O’Rourke said: “During the fourth quarter of 2015, the Laing O’Rourke Group Executive carried out a strategic review of its business portfolio, including options as to the allocation of capital over the remainder of this decade. This review was partially triggered following unsolicited approaches from a number of parties expressing interest in acquiring parts of our business, including our very successful Australian business. This is reflective of both the strength and attractiveness of this element of the group which, having performed well in recent years, is not strongly positioned in the emerging infrastructure market with blue-chip clients, a solid pipeline, a talented leadership team and great people. Accordingly, a formal sales process with now commence, led by HSBC Investment Bank and supported by our other advisors. “Another key conclusion of the review was that the European business and the UK in particular was very well placed for strong growth potential, which will be further fuelled by the government’s renewed focus on infrastructure and new housing. “If we are to seize these growth opportunities, further UK investments will be required especially in areas that promote our competitiveness and the attractiveness of our offering to clients. The Australian business unit is expected to catch the eye of its competitors as well as Chinese and European construction companies who are keen to establish a footing in Australia.